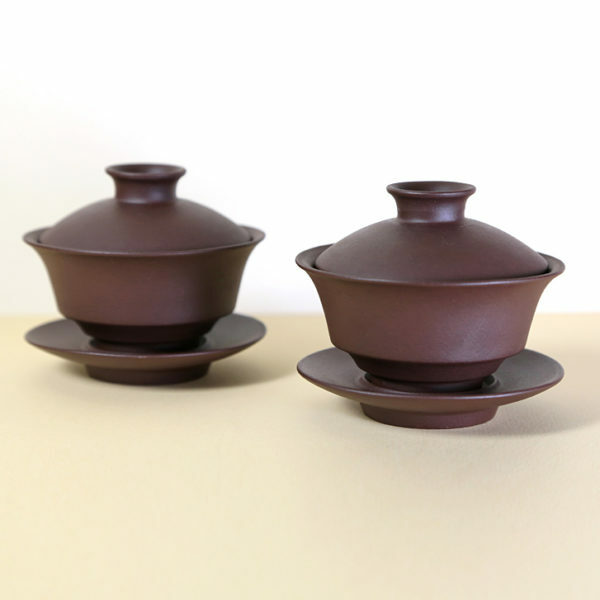 We have been searching for some time for a stylish and well made gaiwan made of Yixing clay. Most that we encounter have been thin bodied-and poured from clay slip into a mold. 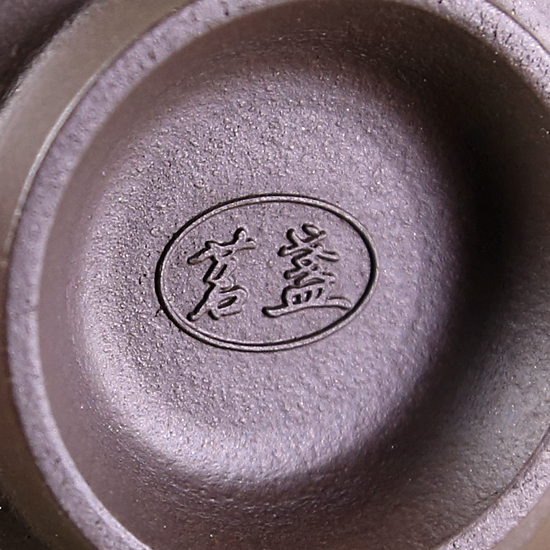 But this gaiwan has given us everything we wanted – heft, a solid feeling in the hand and generous dimensions. The saucer is a bit wide and the saucer wider still, a set of particulars that we feel makes it easy for those learning to negotiate a gaiwan to get the hang of it easily. On the aesthetic side, the clay body has an attractive rich, brown leathery color and the cup sits high in the sauces thanks to some clever design work. And there is also a nice finger-feel to the texture of the clay. Gaiwans were invented during the Ming Dynasty. 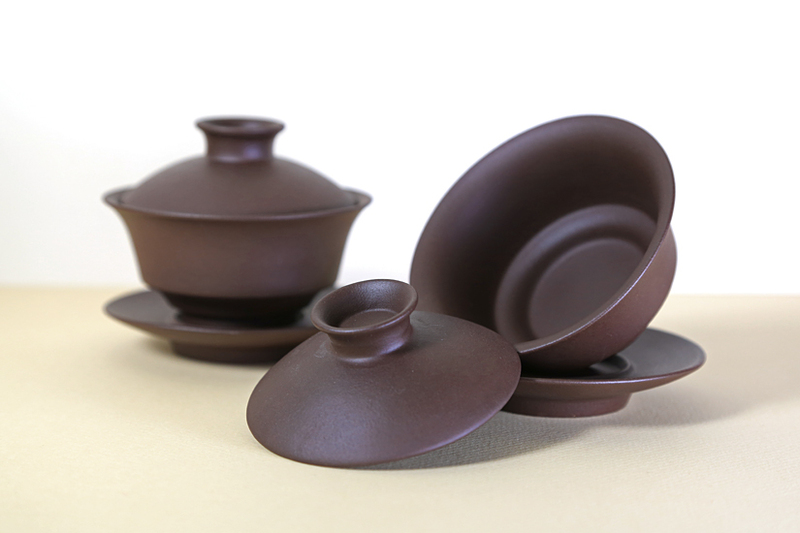 Each gaiwan consists of a bowl, a lid, and a saucer. Many variations of gaiwans have been popular over the centuries as different emperiors had their favorite shape. Despite it’s unasuming demeanor, gaiwans are considered by many Chinese tea connoisseurs to be the preferred method for brewing teas such as oolongs and Pu-erh. Glazed gaiwans, which are more common that yixing gaiwans, are made of high-fired porcelain and and can be used to steep any type of tea. Today, gaiwan collectors have an almost never ending choice of gaiwans – painted, plain, short & fat, tall and thin, small saucer, large saucer, small lid know, largelid know, etc. Please Note: This is a handmade item – slight variations in the painting, colors, tooling, patterning and kiln effects of Chinese and Japanese teawares are to be expected. We have carefully photographed this item as best as possible – please be aware that different device screens can render colors and subtle tones slightly differently.